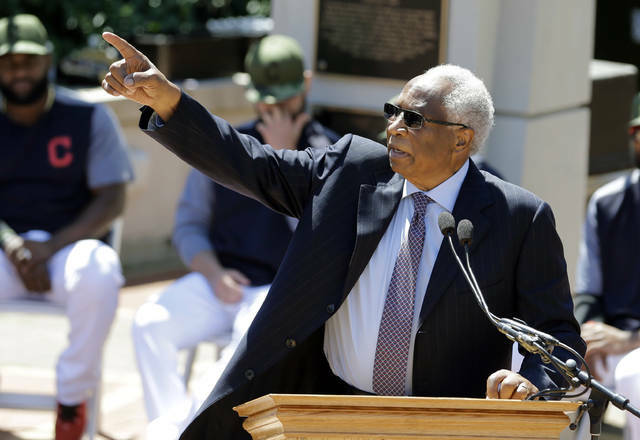 Frank Robinson, a trailblazing figure who was Major League Baseball's first African-American manager and one of its greatest players during a career that spanned 21 seasons, died Thursday after a prolonged illness. He was 83. Known as much for his leadership, toughness and raging competitive fire as his sheer greatness as a player -- that is, crowding home plate so much that he dared pitchers to throw inside -- Robinson was elected to the Baseball Hall of Fame with 89.2 percent of the vote in his first year of eligibility in 1982. 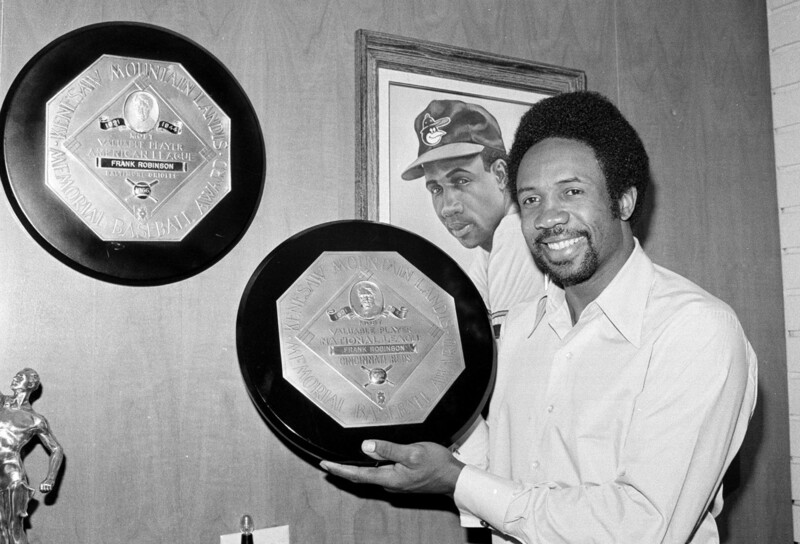 "Frank Robinson's resume in our game is without parallel, a trailblazer in every sense, whose impact spanned generations," Commissioner Rob Manfred said. "He was one of the greatest players in the history of our game, but that was just the beginning of a multifaceted baseball career. "We are deeply saddened by this loss of our friend, colleague and legend, who worked in our game for more than 60 years. On behalf of Major League Baseball, I send my deepest condolences to Frank's wife Barbara, daughter Nichelle, their entire family and the countless fans who admired this great figure of our national pastime." 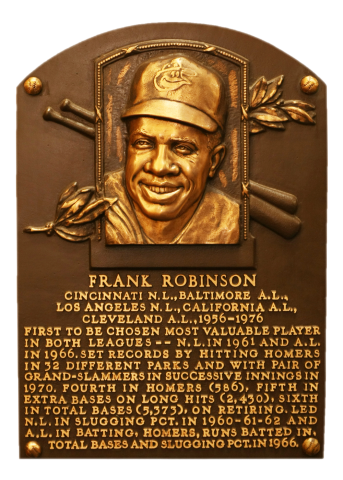 Robinson hit 586 home runs and was a 14-time All-Star and the only player to win Most Valuable Player Awards in both leagues -- 1961 for the Reds in the National League, '66 for the Orioles in the American League. He won the AL Triple Crown in '66, hitting .316 with 49 home runs, 122 RBIs and 122 runs in one of the great individual seasons in history. 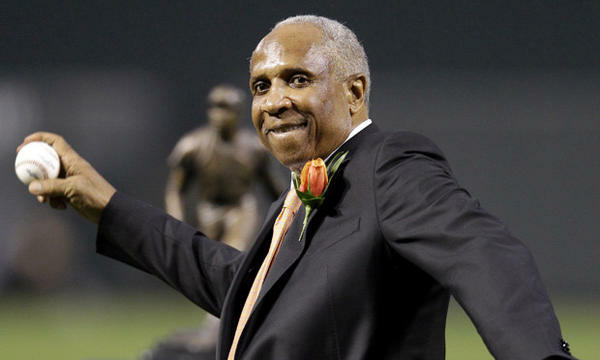 "Frank Robinson was not only one of the greatest players in Orioles history, but was also one of the premier players in the history of baseball," the Angelos family, owner of the Orioles, said in a statement. "Fans will forever remember Frank for his 1966 season, in which he won the Triple Crown and was named MVP during a year that brought Baltimore its first World Series championship. His World Series MVP performance capped off one of the greatest individual seasons in baseball history. An Orioles legend and a Baseball Hall of Famer, Frank brought us so many wonderful memories, including two championships, during his time in Baltimore." The proudest moment of Robinson's career occurred on April 8, 1975, when he walked the lineup card to home plate as player-manager of the Indians in front of 56,715 at Cleveland Stadium. Just as Jackie Robinson's breaking of baseball's color barrier in 1947 had opened doors for Frank Robinson, Hank Aaron and Willie Mays and many others to play in the Major Leagues, it was Frank Robinson who paved the way for every minority manager who has followed. He understood the historical significance of the moment, in part because he had endured racial taunts and the humiliation of segregation, including not being allowed to eat or live with his white teammates. In the first inning of that first game as manager -- in a moment Cleveland fans have routinely voted the most memorable in franchise history -- Robinson stepped to home plate and homered off Yankees starter Doc Medich. Robinson was 39 years old at the time, and the home run was the 575th of his career. Amid the cheers, he tipped his cap as he crossed home plate, later saying, "That was for my wife [Barbara]." "As the first African-American manager in Major League history, Frank was a proponent of civil rights causes on and off the field, including policies that paved the way for minorities to have increased access to executive and management positions in baseball," the Angelos family said. "The Cleveland Indians organization is deeply saddened by the passing of baseball legend Frank Robinson," the Indians said in a statement. 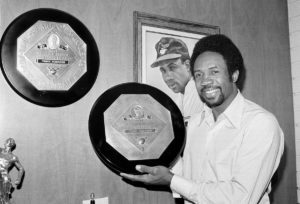 "Our organization and the city of Cleveland are proud to have played a role in Frank's significant impact on the game when he became the first African-American manager in baseball history on April 8, 1975. 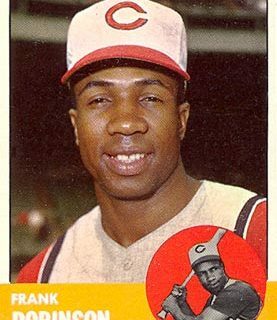 The fact Frank hit a solo home run in his first at-bat that day as the Indians' player-manager symbolizes his greatness as a Hall of Fame ballplayer. The entire Indians organization extends its thoughts and prayers to the Robinson family." 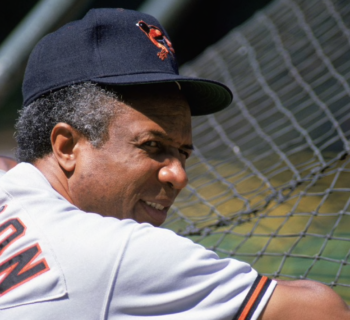 Robinson went on to manage the Giants, Orioles and Expos/Nationals in what became a 16-year career as a skipper. Perhaps his second-most memorable managerial assignment was taking over the 1988 Orioles when they were 0-6. That team would lose its next 15 games, going 0-21 on its way to 107 losses. At 0-18, Robinson received a telephone call from President Reagan. Hoping to console the skipper, Reagan said, "Frank, I know what you're going through." "Mr. President," Robinson told him, "with all due respect, you have no idea." But the next season, with an infusion of youth, Robinson led one of the great turnarounds in history. The Orioles improved by 32 games to go 87-75 and had dreams of a worst-to-first season until being eliminated in the 161st game. Robinson won the AL Manager of the Year Award. Robinson was born Aug. 31, 1935, in Beaumont, Texas. His parents separated when he was an infant, and he accompanied his mother, Ruth, to Northern California when he was 4. 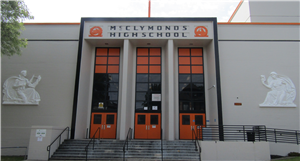 Robinson attended McClymonds High School in Oakland, where future Hall of Famer Bill Russell was among his basketball teammates. Robinson's first baseball mentor was George Powles, a legendary American Legion coach in the Bay Area. Future big leaguers Vada Pinson and Curt Flood were high school teammates. Robinson signed with the Reds for $3,500 in 1953 and made his Major League debut three years later. He won the NL Rookie of the Year Award and made his first All-Star appearance that season. 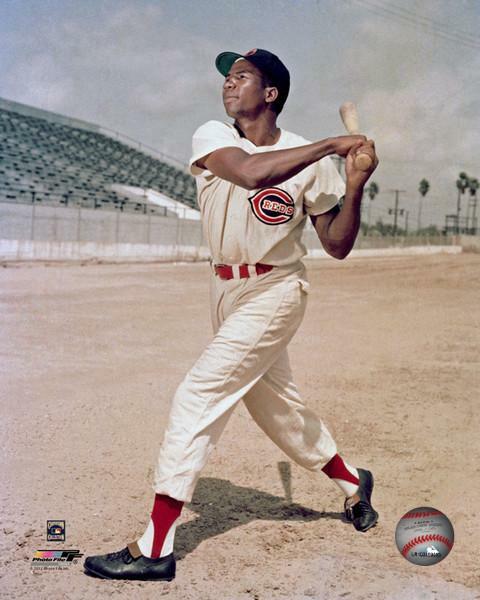 During 10 seasons with the Reds, Robinson averaged 32 home runs and was a six-time All-Star. He won the 1961 NL Most Valuable Player Award and finished fourth in NL MVP Award voting in '62 and '64. 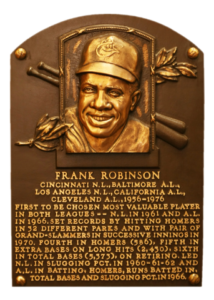 "Frank Robinson is considered one of the greatest players to ever wear a Cincinnati Reds uniform," Reds CEO Bob Castellini said. "His talent and success brought dynamic change to the Reds and to our city. His retired No. 20 and statue gracing the gates of Great American Ball Park stand in tribute and appreciation for the immense contribution Frank made to the Reds. We offer our deepest condolences to Frank's family, friends, and fans." Robinson's relationship with the Reds had soured by the end of the 1965 season, prompting one of the most lopsided trades in history (one famously mentioned in the movie "Bull Durham"): Robinson to the Orioles for pitcher Milt Pappas and two others. The Reds defended the trade at the time, saying they had enough offense and that Pappas was one of the best young pitchers in the game. In addition, there were whispers that the Reds thought Robinson was an old 29. He was not. All Robinson did in Baltimore was lead the Orioles to four AL pennants in six seasons and help establish what became known as "The Oriole Way." 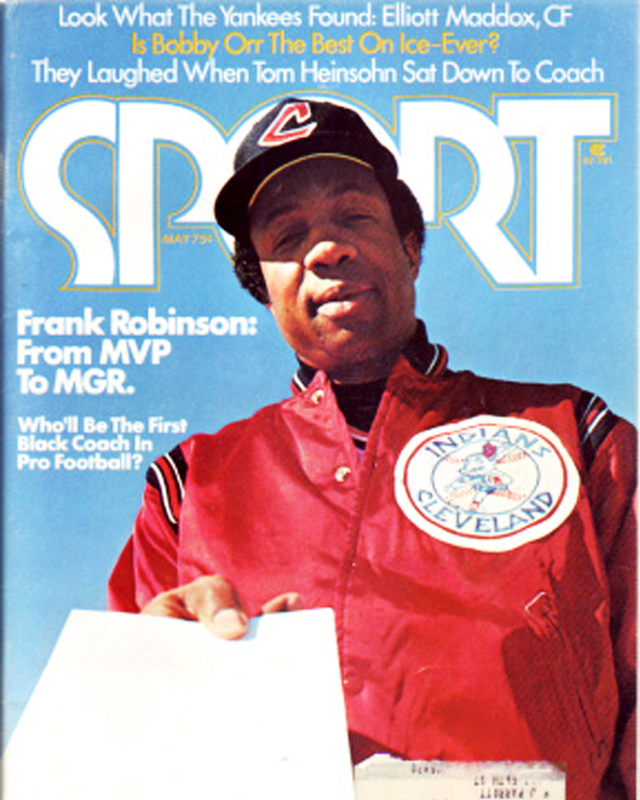 Although leadership is not easily quantified in sports, Robinson defined the word. Robinson led by example. Once when his wrist was so sore that he could not swing a bat, he bunted for a single, stole second and third and raced home on an infield grounder. Robinson led with words, too. He held kangaroo courts to castigate teammates who made silly mistakes. He donned a mop top for laughs, but the message was unmistakable: When you are on the field, you will do it my way. "If you made a mistake on the field, you were afraid to come back in the dugout because you knew you had to face Frank," the late Elrod Hendricks, an Orioles catcher, once said. "That was worse than anything you'd hear from a manager. He just didn't tolerate mistakes, especially mental mistakes." Among the 179 home runs Robinson hit during his six Baltimore seasons was one off Indians ace Luis Tiant that completely cleared Memorial Stadium on May 8, 1966. The ball was estimated to have traveled 541 feet and was discovered beneath a Cadillac in a parking lot. The Orioles erected a flag with the word "Here" to mark the spot where it left the stadium. On the 50th anniversary of the homer, a new flag was installed in about the same place in what's left of Memorial Stadium. Three teams -- the Reds, Orioles and Indians -- have retired Robinson's No. 20. (Nolan Ryan is the only other player to have his number retired by three teams.) All three teams honored Robinson with statues, and he was given the Presidential Medal of Freedom by President George W. Bush in 2005. After the last of Robinson's managing jobs, he worked for Major League Baseball in a variety of roles, including vice president of on-field operations and senior vice president for Major League operations. He was also honorary AL president. "The Lerner family and the entire Washington Nationals organization extend our deepest condolences to the family of Frank Robinson," the Nationals said. "Frank was one of a kind. A trailblazer throughout his career, he was steadfast and courageous in his defense of justice and diversity in the game of baseball. In addition to his Hall of Fame playing career, Frank broke down barriers, was a leader and mentor. Not only did he lead our team in our early years, helping to establish our culture and develop young players, but he remained connected throughout the years with our organization. His contributions to our team helped set us on a path to success and his continued presence helped remind us why we love this game." One of Robinson's last public appearances was at Dodger Stadium on April 15, 2017, when a sculpture of Jackie Robinson was unveiled. Even as he was slowing down, Frank Robinson -- with huge hands and powerful forearms -- still carried himself with the grace and confidence of a great athlete. "I'm here to honor Jackie and his family," he said. "Everything I have, everything Willie [Mays] and Hank [Aaron] have, started with Jackie Robinson doing what he did. He could have lost his life for it. That's a debt you can't repay except to say, 'Thank you' as often as you can." Robinson attended virtually every Lakers home game during baseball's offseasons and was a devoted -- and at times unforgiving -- fan. He, Barbara and their two children made Los Angeles their year-round home early in his playing career. "When I visited the first time, I couldn't believe how beautiful it was, and the weather was perfect," he said. "I decided if I ever got the opportunity, I was going to make it my home. I'm very fortunate that baseball allowed me to do that." The Robinson family has asked that, in lieu of flowers, contributions in Robinson's memory can be made to the National Civil Rights Museum in Memphis, Tenn., or the National Museum of African American History & Culture in Washington, D.C.